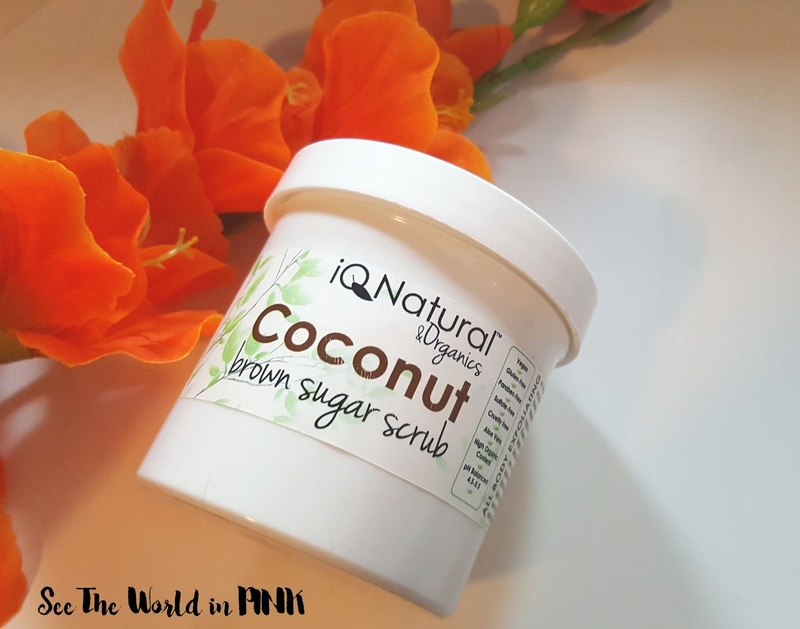 IQ Natural's a company that focuses on using ingredients that are certified Organic, high concentration active-naturals, and are holistic plant based. They strive to deliver products for both professional and personal use, that deliver highly effective and health driven results for over 14 years. IQ Natural creates skincare, makeup, body care and aromatherapy products. I love that this body scrub has a very small amount of products: Organic Brown Sugar, Coconut, Olive Oil, Argan Oil, 10% Glycolic Acid, Essential Oils, Herbs, Honey. 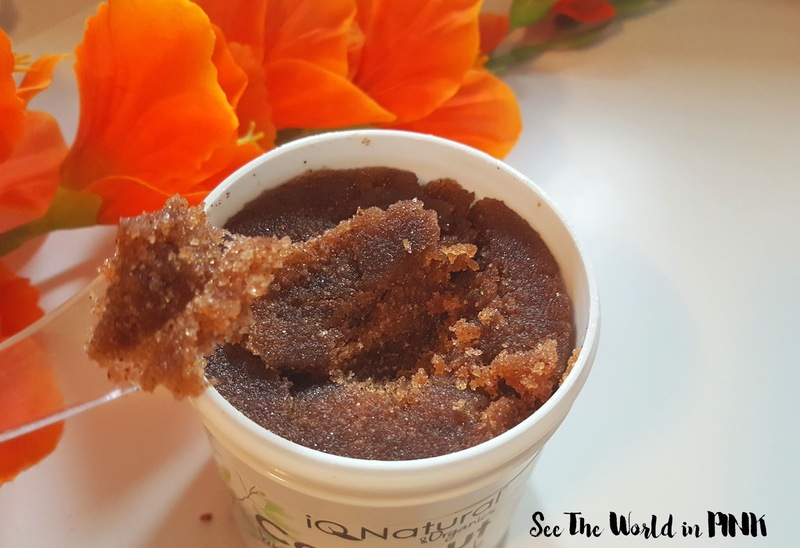 I like the texture of this scrub - not only does the brown sugar add a different scent, it also adds a different texture to the scrub. 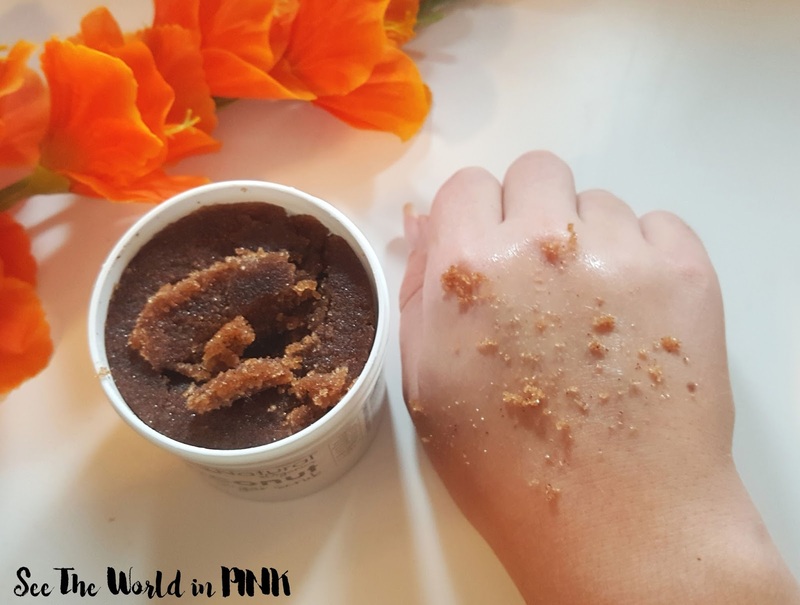 I did find this scrub to be a little on the crumbly side, personal preference is I prefer a little more liquid or binding ingredient in my body scrubs because if they are too crumbly I can find them a bit hard to use. This one is not necessarily hard to use, just a bit different than what I normally use! Here is a look at the scrub so you can get a sense of how the scrub applies! This scrub worked really well! I used it all over, really focuses on dry areas, such as elbows, and it delivered. My skin was really smooth after using this scrub, and smelled amazing on top of it!